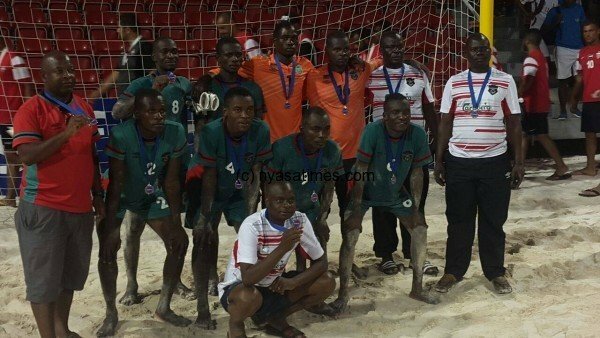 The future of Sand Festival Central Region Beach Soccer League is uncertain following silence and delay in release of the 2017 sponsorship package from the sponsors Impakt Events. Impakt Events took over the sponsorship of the league last year after pumping in K500,000.00. This was after the Event Management Firm’s Chief Executive Officer (CEO) Lucius Banda helped the league to raise another K500,000.00 through a music show at M1 Centre Point in Lilongwe. But Banda could not respond on whether they will again bankroll the league this year when contacted by Nyasa Times on Monday despite an assuarance of a possible come back made last year. “We will be monitoring how the league will be managed and come up with something big next year zikayenda bho (if all goes well)” Banda was quoted as saying by the Nation newspaper dated 18th August 2016. Central Region Beach Soccer League General Secretary Allie Mwachande was adamant to comment when called by Nyasa Times on Tuesday. He however said ‘Logistical issues are being worked on’ but would not reveal what type of logistical issues citing on-going negotiations. Meanwhile, Nyasa Times understands that the Central Region Beach Soccer Committee intends to knock on the doors of Malawian but South African based billionaire Prophet Shepherd Bushiri also known as ‘Major 1’ for rescue if Impakt Events doesn’t come up with a tangible decision in the next few days. Central Region Beach Soccer League was launched in 2015 at a tune of K250,000.00 before Impakt Events took over last year. The league was then hiked to K1 Million with a possibility of another hike this year after Impakt Events pledged a long term relationship.